Clohisey and Ann-Marie McGlynn win Raheny 5 miler, while Mageean improves the Irish indoor mile record in Boston. 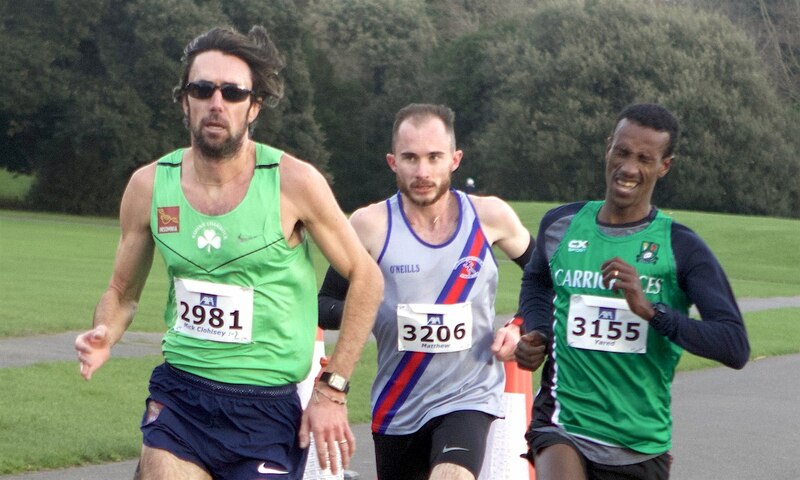 Despite being in the middle of heavy marathon training, Mick Clohisey made it a home win at the 235th Raheny 5 Mile in Dublin on Sunday (January 27). 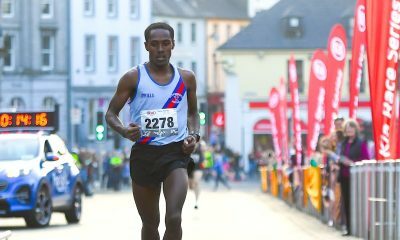 The Raheny man broke away early with Matthew Bergin of Dundrum South Dublin AC and Yared Derese of Carrick Aces on his heels throughout. Leading the chasers was Kevin Maunsell of Clonmel AC and Hiko Tonosa of DSD AC, while not far off was Tomas Fitzpatrick of Tallaght and Ian Guiden of Clonliffe Harriers. As the race progressed, Bergin pushed to the front nut Clohisey had his measure and came home the winner in 23:26 with nine seconds to spare. A close third was Derese. For fourth place, Maunsell held on for fourth place with Fitzpatrick passing Tonosa for fifth. Winning the women’s race in 26 minutes exactly was Ann-Marie McGlynn of Letterkenny AC. Emma Mitchell, another athlete in heavy marathon training finished second for the Nike team in 26:39 while third was Olympic marathon woman Breege Connolly of City of Derry Spartans who was also first over 40. 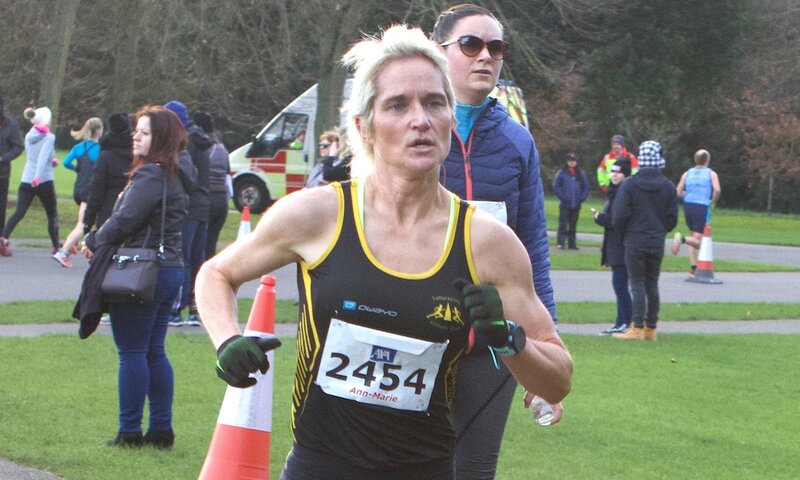 Dundrum South Dublin AC made it a team double, winning the men’s title from Raheny Shamrock and Clonliffe Harriers and the women’s title from Raheny and Sli Cualann. Overseas, David Flynn of Clonliffe Harriers ran a personal best time of 64:00 to finish 11th and first European at the Marrakesh Half Marathon in Morocco on Sunday. 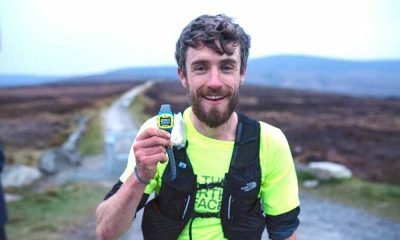 However, there seems to have been an error on the organisers part with Flynn officially given a time of 64:32. The Irish half marathon champion has now filed a complaint in order to get his official time corrected. In Australia, Sean Tobin ran 3:45.24 to win the men’s 1500m at the Canberra Track Classic on Monday (January 28). 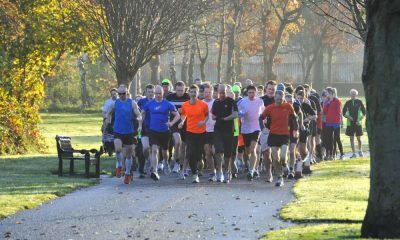 The Clonmel athlete has been training with the Melbourne Track Club in recent weeks. Indoors, the Irish highlights were a new Irish mile record for Ciara Mageean – and Kate O’Connor snatching back her Irish pentathlon record by just three points. Ciara Mageean set a new Irish indoor mile record of 4:28.31 at the New Balance Indoor Grand Prix in Boston, USA, on Saturday night (January 26) improving on her own 2015 Irish record of 4:28.40. She finished sixth in the race won by Canada’s Gabriela Stafford in a new national record time of 4:24.80. Mageean’s time is well inside the 1500m qualification time (4.36 mile) for the European Indoor Championships taking place in Glasgow in early March. She went through 1500m in 4:09.53. In Cardiff, Kate O’Connor was determined to win back the Irish indoor pentathlon record she had lost to Grace McKenzie of Belgooly AC last week. Earlier this month, O’Connor had improved her own indoor record to 4174 points in Sheffield, but US-based McKenzie bumped that up to 4211 points in Alabama twelve days later. A personal best of 2:17.22 in the 800m gave O’Connor a points total of 4214, adding three precious points to McKenzie’s record. Exciting times! Winning the master’s mile in Boston was Mark O’Shea of Drogheda and District with a time of 4:28.35. O’Shea had trailed Stefan Lingmerth of Sweden at 1500m but caught him in the chase for the line. Also booking her place for Glasgow this weekend was sprinter Phil Healy of Bandon AC who won the 400m at the Vienna International Indoor Meet on Saturday (January 27) in a time of 52.31. The European Indoors qualifying mark is 53.75 secs. A small Irish team had travelled to Vienna with Megan Kiely of Ferrybank AC running a personal best of 56.20 in the 400m; Simone Lalor of St LOT ran 56.52. In the men’s 400m, held over 14 heats, Luke Lennon Ford of Clonliffe Harriers finished eighth fastest in the men’s 400m with a season’s best time of 47.86 secs – not far off the European Indoors qualifying mark of 47.30. Lennon Ford had run 49.13 secs in London a week earlier. Brandon Arrey of Raheny Shamrock clocked 48.02 for his second fastest time ever and Robert Bennett clocked a personal best PB with 49.02. In the 1500m, Kieran Kelly of Raheny Shamrock finished seventh in 3:46.05, followed by Letterkenny’s Darren McBrearty tenth in 3:48.23, and Conor Duncan of Ratoath AC 19th in 4:00.42. Highlight of the National U23 and Junior Indoor Championships at Abbotstown on Sunday was a championship record for Joseph Ojemumi of Tallaght AC in the U23 60m. There were also track records for Cian McPhillips of Longford AC, Jo Keane of Ennis TC and Luke McCann of Dublin City Harriers in the 1500m races. Ojemumi ran a time of 6.83 secs to win the 60m comfortably. In the junior 1500m, McPhillips clocked 3:54.77 while in the junior girls race, Keane’s time of 4:36.19 was improving her own 2018 record. In the U23 men’s 1500m, McCann clocked a time of 3:48.03. The junior women’s 60m saw a showdown between Lauren Roy of City of Lisburn and Patience Jumbo Gula of St Gerard’s Dundalk, with Roy coming out on top in 7.42. Neville was in action in the U23 200m where she finished second behind Sophie Becker of St Joseph’s AC who recorded a time of 24.25 secs to 24.87 secs for Neville. Winning the junior 200m in 24.46 secs was Davicia Patterson of Beechmount Harriers. Winning the U23 400m with a time of 48.41 secs was Shane Irwin of Finn Valley AC who recorded a narrow victory over Craig Newall of Ballymena and Antrim AC; Newall’s time was 48.49. Winning the junior title in 48.75 was Christopher Duffy of Tallaght AC. In the women’s junior 400m, Deirdre Murray of Na Fianna beat Kilkenny’s Ciara Deely to win in 56.11 secs. Cillin Green of Galway City Harriers won the U23 men’s 200m in 21.47 secs, while Jenna Bromell of Emerald AC took the U23 women’s 800m title in 2:09.07. Pick of the field events was an Irish record of 3.55m in the junior women’s pole vault for Clodagh Walsh of Abbey Striders AC. There were also championships best performances in the junior men’s pole vault of 4.45m for Matthew Callinan Keenan of St L O’Toole AC and in the junior women’s long jump for Ruby Millett of St Abban’s with a 6.12m effort. Winning the U23 shot with 14.33m was Michaela Walsh of Swinford AC and DCU, whose recent training woes have been highlighted in the press. Last year, Walsh won the competition with a 15.34 effort. At the second and final round of the National Indoor League a day earlier, Clonliffe Harriers mad it four in a row with victory in the men’s competition. Donore Harriers finished second and Raheny Shamrock third. A few days earlier in Abbotstown, Marcus Lawler of St LOT had got his indoor season off to a good start with a time of 6.84 secs for victory in the 60m at the NIA Live meet on Tuesday (January 22). The time puts him top of the current Irish rankings; qualifying mark for the European Indoors is 6.78 secs. In the 800m, Paul Robinson of St Coca’s AC clocked a time of 1:52.78, while Davicia Patterson of Beechmount Harriers clocked a time of 25.25 secs for 200m, while Craig Newall of Ballymena and Antrim AC ran 21.85 secs in the men’s 200m series. Zak Hanna of Newcastle AC won the men’s intermediate title at the NI and Ulster Inter and Masters Cross Country Championships, held at Barnett Demesne, Belfast on Saturday. His Newcastle clubmate Patrick McNiff finished second and Aaron McGrady of East Down AC third. Newcastle AC finished best of the teams ahead of Acorns AC and Springwell RC. Winning the women’s intermediate title was Ciara Toner of Springwell RC ahead of Helen McCready of Rosses AC and Sarah Kelly of Inishowen AC. East Down AC were first team with Omgah Harriers second and Willowfield Harriers third. In the women’s masters race, Gemma McDonald of Ballycastle Runners AC recorded a solid victory over Amy Bulman from Willowfield Harriers. Julie Murphy of Lagan Valley was third. In a closely fought team race, Ballydrain Harriers beat Lagan Valley AC by two points. Willowfield Harriers was third. Mark Kinstry of North Belfast Harriers was a clear winner of the men’s masters race finishing over 50 seconds clear of Chris McGuinness of Foyle Valley AC. Eoin Mullan of Omagh Harriers was third. First M65, over a shorter distance, was Paul Elliott of Beechmount Harriers. 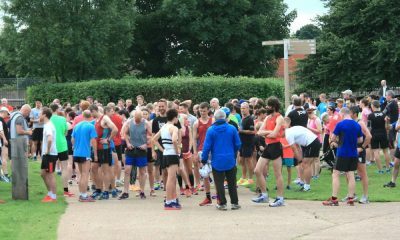 North Belfast Harriers, with four in the top eight, was first team followed by Willowfield Harriers and Annadale Striders. Already qualified for the European Indoors the previous weekend were was John Travers of Donore Harriers and Siofra Cleirigh Buttner of DSD. Travers ran a time of 8:01.04 in the 3000m at the Non-Thomas Open in Cardiff on January 20; the qualifying standard is 8:03.00. Winning the women’s 1500m was Claire Tarplee of St Coca’s in 4:18.87. Clonliffe’s Eoin Pierce finished second in the men’s 1500m in 3:51.20, with Callum Crawford-Walker fifth in the same race in 3:53.76. In the USA, Cleirigh Buttner made a return to racing with victory in the 800m at Clemson SC on January 19 in 2:03.30. This time is well under the European Indoors time of 2:04.00.